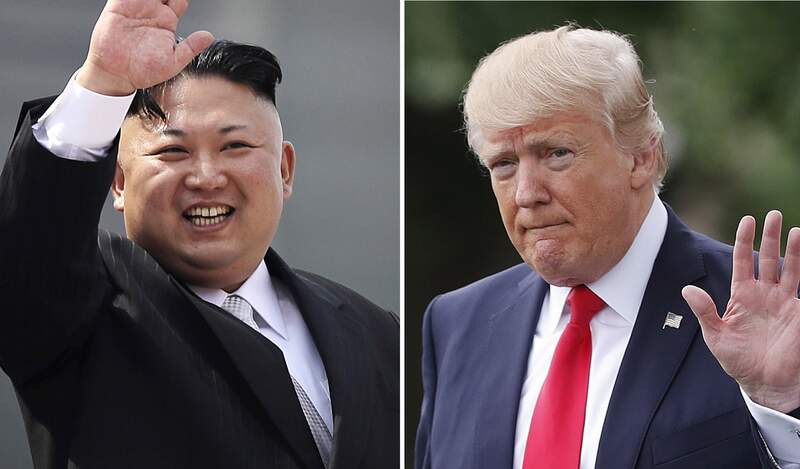 PYONGYANG: North Korea confirmed directly to the Trump administration that it is willing to negotiate with the United States over potential denuclearisation, administration officials said Sunday, according to The Washington Post. The confirmation offers the administration greater assurances that North Korean dictator Kim Jong Un is committed to a potential meeting with President Trump by the end of next month. “The U.S. has confirmed that Kim Jong Un is willing to discuss the denuclearisation of the Korean Peninsula,” an administration official said. South Korean emissaries, in a visit to the White House last month, had presented Kim’s invitation to meet with Trump, who quickly agreed. But Pyongyang has been silent publicly since then about a summit, even as Kim visited Beijing earlier this month in his first visit outside North Korea since assuming control of the country after his father, Kim Jong Il, died in 2011. The Wall Street Journal was the first to report that the North has confirmed the offer to the United States. Trump said last month that he was willing to have the historic meeting with Kim and instructed his aides to arrange it before the end of May. Japanese Prime Minister Shinzo Abe is scheduled to make a two-day visit with Trump at Mar-a-Lago, the president’s resort near Palm Beach, Fla., to coordinate strategy between the allies. South Korean President Moon Jae-in plans to meet with Kim at the end of April in the demilitarised zone between the North and South. White House officials have not said where the Trump-Kim summit will be held. The agenda of the meeting is not yet known, and North Korea has not been clear about what steps it is willing to take to move toward denuclearisation. During previous negotiations under different U.S. administrations, the North has agreed to freeze its nuclear weapons program in exchange for the lifting of international economic sanctions, only to violate the agreement by testing more weapons.